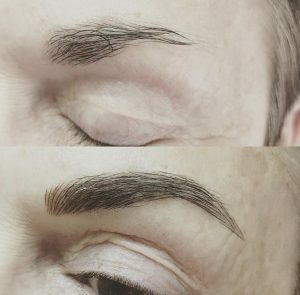 Microblading is a type of very specialized cosmetic tattooing that provides a natural looking replacement or enhancement for eyebrow hairs. The procedure is considered semi-permanent and involves depositing tattoo pigments under the skin using a specialized tool. A skilled aesthetician creates a pleasing shape to the brow and places the treatment to achieve the desired look. 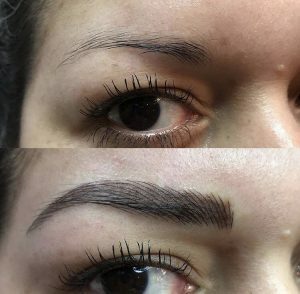 Microblading had its origins in Asia, where it was known as “feathering” because of the delicate strokes necessary to create crisp, clean markings that develop the illusion of natural brow hairs. Since the tattoo ink is permanently embedded under the skin, the treatment can last for several years, with touch ups after 12 months. Very tiny cuts are made in the skin, which are then are filled with pigment. Although the treatment resembles tattooing, the tool used is a modified version that gives a defined, crisp, clean stroke. The shape of the hairs is important to creating the natural, pleasing look desired. For women with limited eyebrow hairs whether due to treatments like chemotherapy, or genetics, microblading can restore the shape and density of the eyebrows. With microblading, there’s no more need to fuss with your eyebrows in the mornings, adding product and styling. 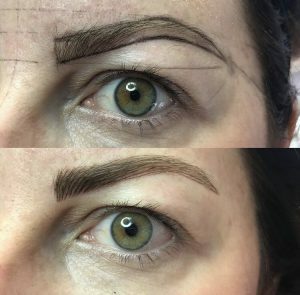 For many women, the convenience alone makes microblading worth the effort. 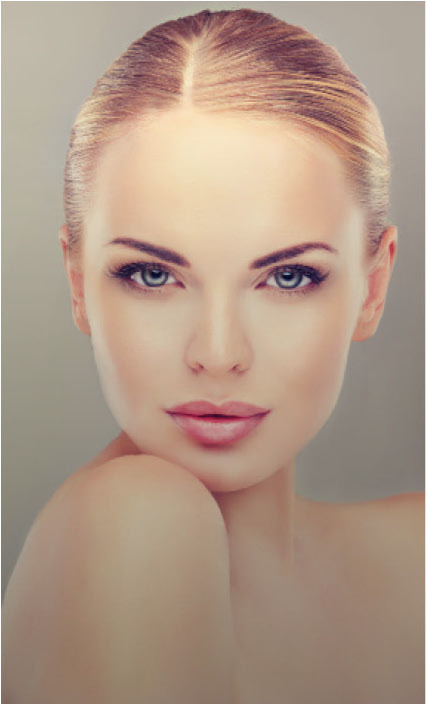 To learn more about the non-invasive and non-ablative anti-aging procedures available to Charleston residents, visit our aesthetic services page. We offer many non-surgical options to keep our patients looking as young as they feel! Contact O’Neill Plastic Surgery online or call us at (843) 881-2130 to make your appointment.